Zahran Alloush, head of the powerful jihadist group Jaysh al-Islam, operating in the suburbs of Damascus, has been killed in a Syrian air force strike, the military has confirmed. The airstrike targeted the headquarters of Jaysh al-Islam (Army of Islam), a coalition of different extremist groups fighting against Syrian government forces. "The Syrian air force has carried out airstrikes, following intelligence reports and assistance by respected citizens, targeting terrorist groups in the eastern suburb of Damascus. As a result, terrorist Zahran Alloush was killed," the Syrian army said in a statement. The Britain-based Syrian Observatory for Human Rights also reported that Alloush was killed together with several commanders while they were at a meeting near the Damascus suburb of Otaya. According to the Lebanon-based AL-Mayadeen TV, 13 strikes were carried out in the area. Jaysh al-Islam is a coalition of Islamist and Salafist units mainly headquartered in the Damascus neighborhoods of Eastern Ghouta and Douma, where it controls large territories. The rebel group includes thousands of trained fighters and is seen as the biggest and the most organized. Though it is not part of the Free Syrian Army, a big umbrella group of forces fighting against troops loyal to President Bashar Assad, the coalition still took part in the conference held by Saudi Arabia in early December, aimed at trying to agree a common position from which to negotiate with the current Syrian government. Critics have accused Jaysh al-Islam of methods comparable to those of Islamic State (IS, formerly ISIS/ISIL) militants, as it reportedly resorts to the same inhumane methods used by the terrorist group, including public executions of prisoners. 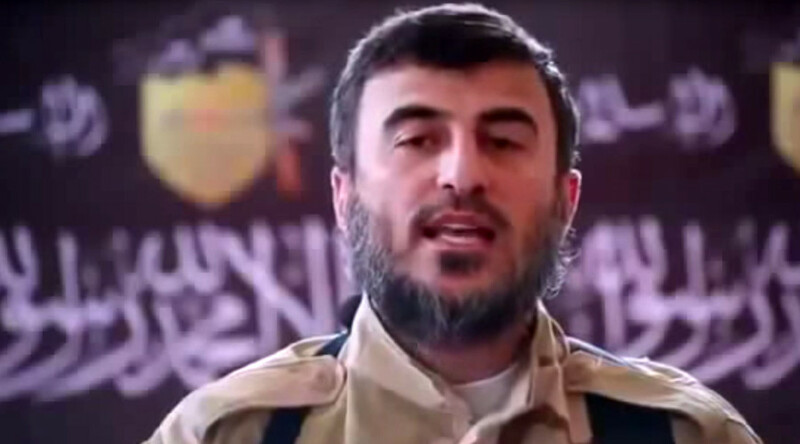 Alloush has called for the cleansing of Alawites and Shiites in various IS-like propaganda videos posted on YouTube. 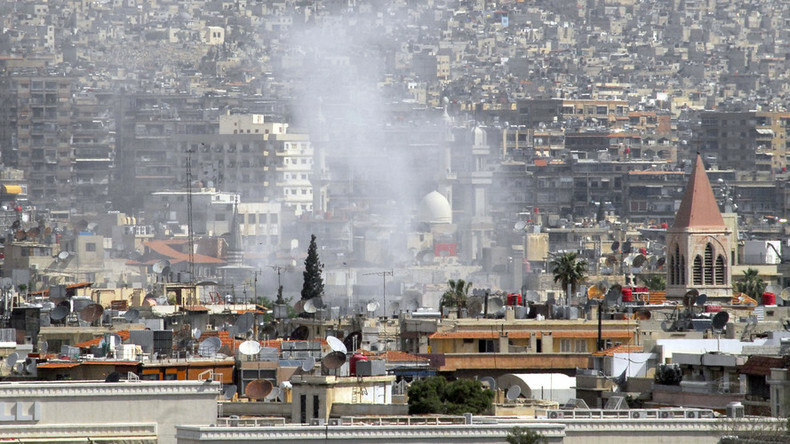 In a massive attack in February, Jaysh al-Islam insurgents fired 40 rockets at civilian homes in Damascus, leaving dozens of civilians wounded and at least three dead. The attack was a retaliation strike for the Syrian Air Force’s strikes in Ghouta. Several coalitions have been spearheading airstrikes targeting IS and other terrorist groups engaged in Syria’s civil war. The US-led coalition has been conducting airstrikes for over a year, while Russia launched its campaign in September, after an official request for military assistance from Damascus.